Griffith spent a full career in healthcare, recently serving as the Executive Director of Health for Friends, a healthcare non-profit organization which provided prenatal, chronic disease, pharmacy and dental services to the underserved. Gov. Mary Fallin said on Twitter late Saturday that she was saddened by the news. I am saddened to hear of the passing of Rep. Claudia Griffith. I appreciated her efforts on the Oklahoma Veterans Pilot Program, where she worked to improve services for our veterans. She was a concerned & hardworking legislator. Please keep her family in your thoughts & prayers. Griffith was married with three children and had recently welcomed her first granddaughter. Funeral services are pending. 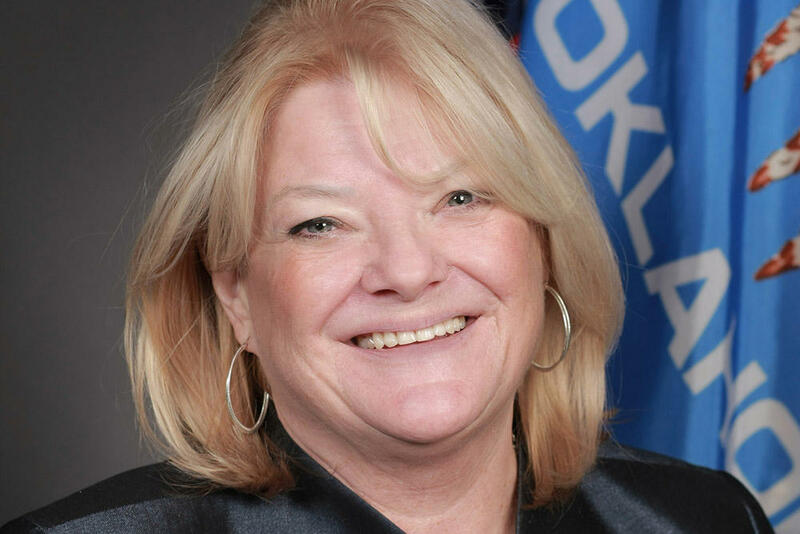 Saddened to hear of the sudden death of Rep. Claudia Griffith. Cindy and I pray for her family, friends & colleagues in the #Oklahoma State House. My heart just sank when I learned of Claudia Griffith’s passing. She was a bright light and gone too soon. She cared deeply and passionately about people. Her spirit will live on if we all try a little harder to live in service to others. Saddened by the sudden passing of a friend & colleague, Rep. Claudia Griffith. She dedicated her professional life to serving others as a nurse and later as a state representative. Claudia was a great role model, friend, colleague, and public servant.